Esperance 4wd! Where do we start? There is so much to see around here and never enough time to see it all which will make you want to return again, that's the effect it's had on us! Esperance is a large town but very isolated in a sense, the nearest towns are Ravensthorpe and Hope Toun, which are about 200 km to the east and any other places are far far away. 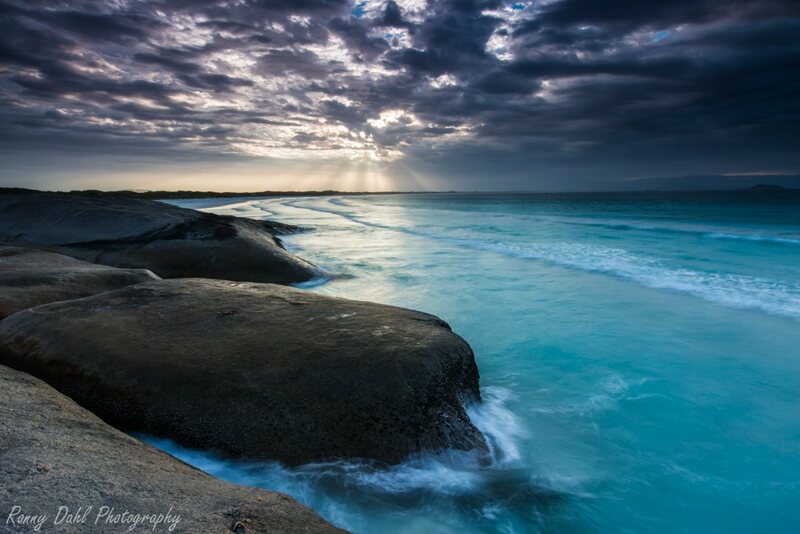 Esperance being the closet southern town to the South Australian broader yet it is still 920kms away, W.A. Is a huge state! 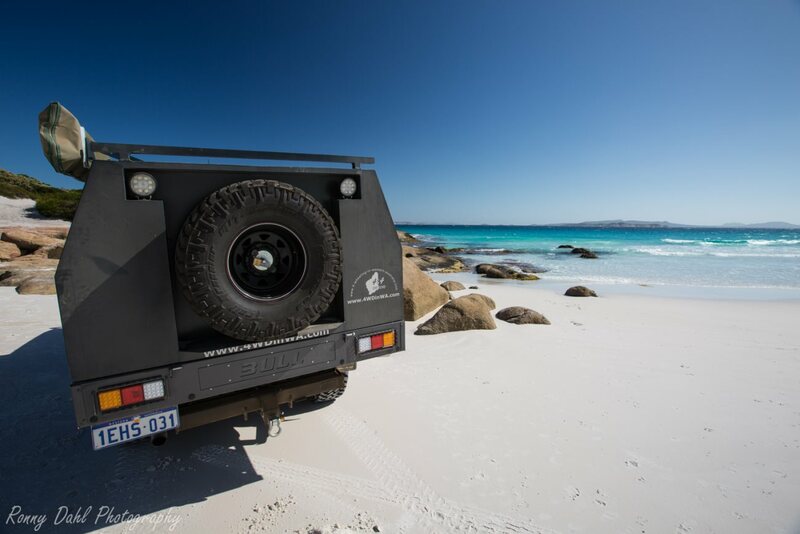 To really see the Esperance surroundings a 4wd is required, from what we have seen about 50% of the vehicles in Esperance are 4 wheel drives and many of them are fitted with more than just a few mods. Getting to places for some Esperance 4wd range from close by to far away. 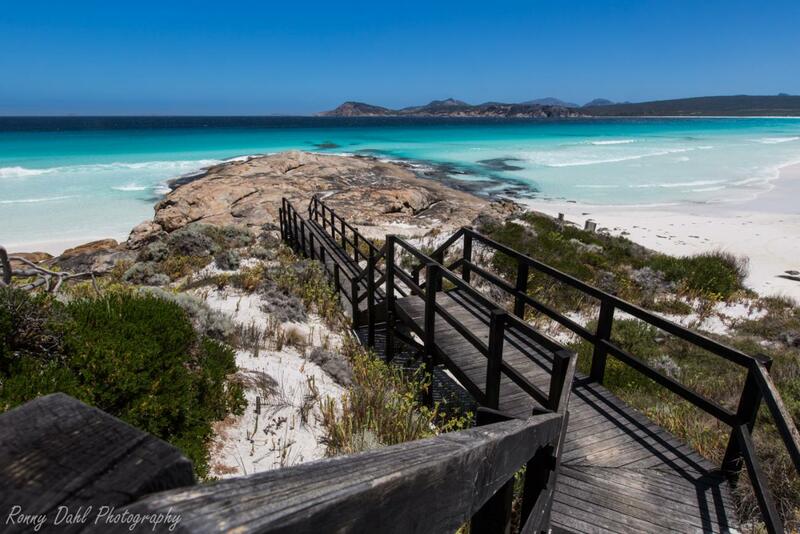 Beaches and rocky coastline are then main attractions here and like Bremer Bay all beaches are "squeaky clean", squeaky clean as in crystal clear turquoise water, clean beaches and talcum like sand that squeaks between your toes and 4x4 Tyres. There are numerous national parks and conservation/reserves within reach of Esperance, the closet one to the East is Mullet Lake Conservation, which stretches all the way along the beach to Le Grande National Park, after that there is Cape Arid and beyond that is Israelite Bay. To the west is Butty Harbour Conservation Reserve and beyond that is Stokes National Park, after that is Hope Town. This was our first time in Esperance and we will return for more in the coming future. On our first Esperance 4wd visit we had 3 vehicles in total; the 79 series Landcruiser, Holden Rodeo and a Hilux. We had some easy 4 wheel driving and some real adventure 4 wheeling, there is 4 wheel driving to suit everyone's needs and most tracks tough or easy will lead to a fantastic beach spot or awesome rocky/cliff coastline. 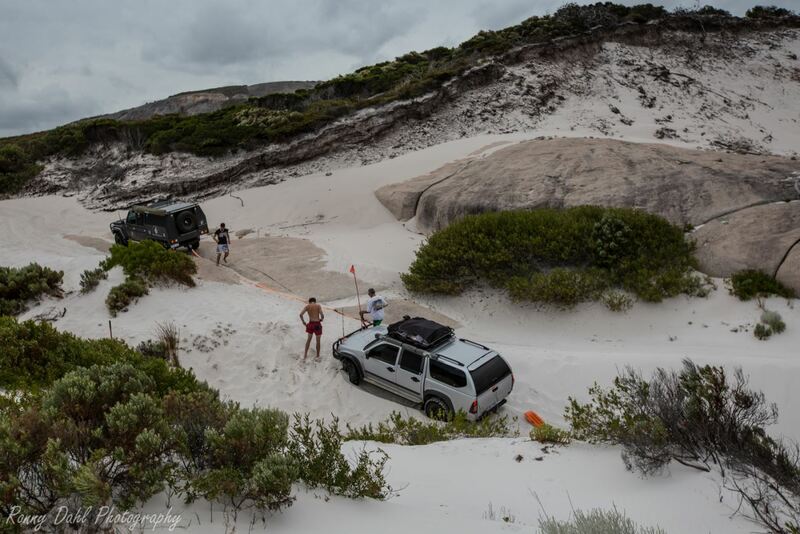 Esperance 4wd to Le Grande National Park: easy yet long and very enjoyable beach run, must do! Rossiter Bay to Dunns Rocks: A lot of beach driving taking you along some awesome beaches. Lucky Bay: not so much a track still a 4WD beach you must visit. Orleans Bay, Hammer Head: our favourite track from our 1st visit, for the Adventurous 4 wheeler! Tracks in the area vary greatly, much due to the fact the surroundings of Esperance is quite vast! Terrain to expect: Rocky outcrops, wide open Hard Sand beaches, very soft sand tracks breaches, lime stone, steep terrain, massive rock climbs, narrow tracks and corrugated gravel roads. Leave Esperance 4WD And Go 4 Wheeling In Western Australia.